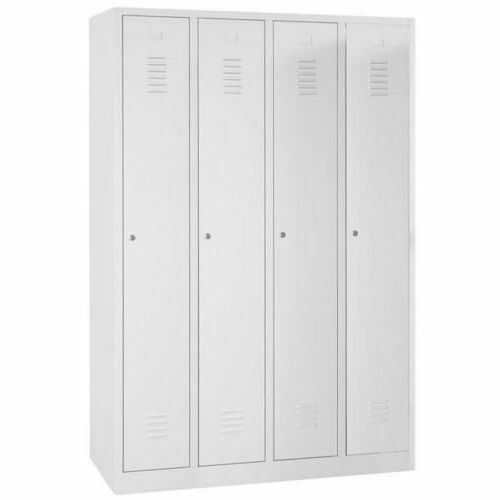 Locker is fitted with a hat shelf, coat hanger and carcass with ventilation. Supplied with a hasp lock and label holders on doors. Flat top nest of 4 lockers mounted on plinth supplied in a choice of door colours.